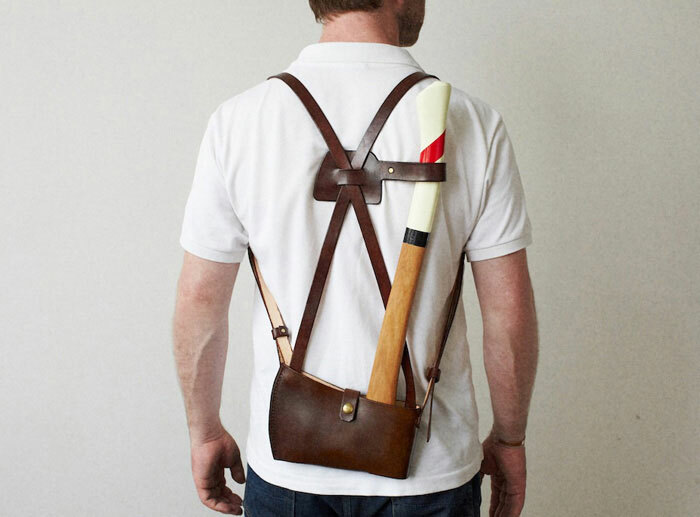 Uncle Mike’s nylon pancake holster. :/ I’m sure those work “ok” for a while… but if you’re serious about carrying why wouldn’t you drop ~$100 on something that is actually good? 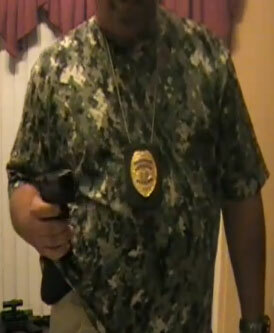 Oh god… strike two – 1:53 he whips out his concealed carry badge. I’d love to see him show a cop that… I’d die laughing. Real sheepdog in that digital puke camo breakup shirt too. 3:50 – “if anything, he’s the one that’s gonna run away and I’m going to be after him like this (running action)” <— ha yea… good luck shaking a murder charge where you chased down a threat and then shot him dead. I do agree on if you have the frame to carry a fullsize, why not? Really though the G19 (or your preferred compact Glock) is just as good if you ask me. 10:00 – the vigilante / toughguy talk comes out. Again.. good luck with your court case after you possibly just turned a simple robbery into multiple homicides. That index finger stayed within the trigger guard for quite a large portion of the video too… with bad habits like that, this guy will put a hole in himself eventually. 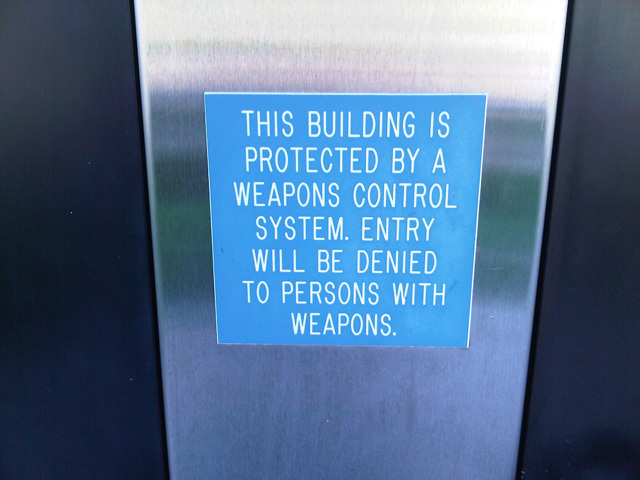 Weapons control systems are designed to detect and deny entry to unauthorized people carrying weapons into secure areas. The access control system consists of a bullet resistant aluminum frame enclosed by bullet resistant glass, and a bullet resistive ceiling. 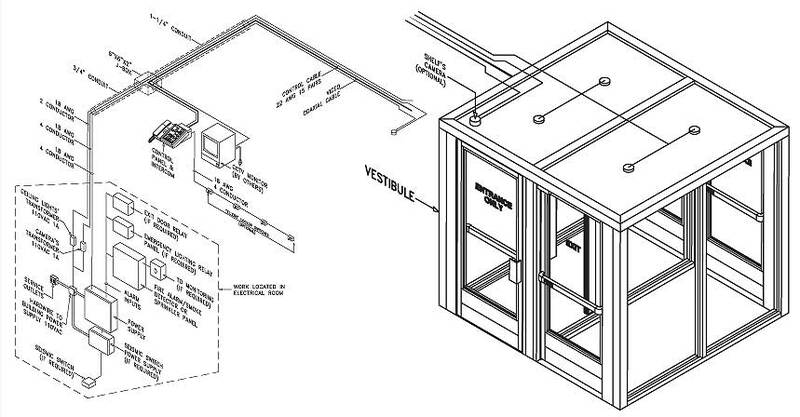 The frame is divided into two separate compartments: one for entry and one for exit. Passage through each compartment is controlled by a set of two intercommunicating doors. 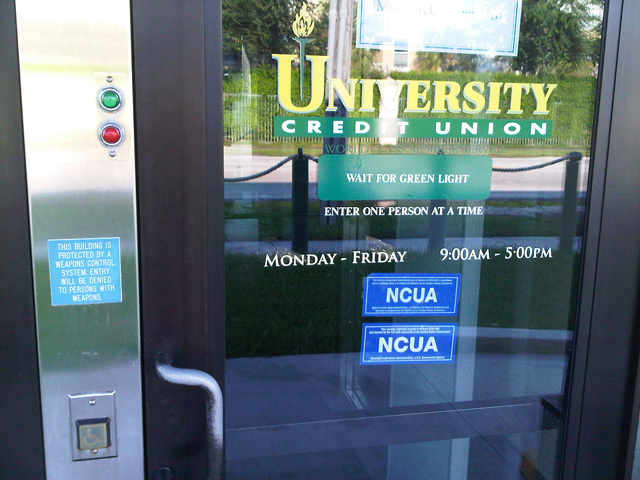 Entry doors and exit doors are totally separate systems. Control of the doors is achieved through the use of exit devices, magnetic locks, infrared sensors, and a metal detector. NovaComm’s Access Control Vestibule can distinguish between magnetic, non-magnetic and mixed alloys weapons. Israel, who is a concealed weapons permit (CWP) holder is not impressed with this recent “upgrade”, and decided to write the bank president a letter (viewable here). My guess is that systems like these are a fairly good deterrent to crime. But at what cost? I know the bank is considered private property, and we all have the choice whether or not we want to deal with places like this. The easiest thing to do I suppose is just switch banks if you don’t like their policies. It’s too bad it has to come to that sometime in order to stay safe. Check out the NRA site (HERE) for dumbed down descriptions each of those bills. I’m glad that common sense prevailed (this time). Fewer Guns in Public Means More Freedom – Wait… What? When someone not in uniform carries a gun in public, they are in effect saying “I could kill you, if I chose.” Which in turn poses an immediate threat to my own freedom of speech, freedom of action, freedom to congregate and freedom to be in public spaces. So does driving a car make the same statement then? Open carry advocates claim they are protecting the public by being a secondary, informal police force. Personally, I prefer the trained, publicly accountable and regulated police force. I know the rules that law enforcement are obligated to protect. I do not know what laws, regulations, whims or prejudices govern the behavior of someone I have never seen before who is carrying a weapon. Publicly accountable? hahhaha How often is a police officer held accountable for their actions when they do something wrong? Also, the last part I put in bold I found especially hilarious. It feels like a troll article.. written to get some traffic to the site. If that’s the case I suppose I fell for it, because the author does such a good job of being blatantly ignorant. 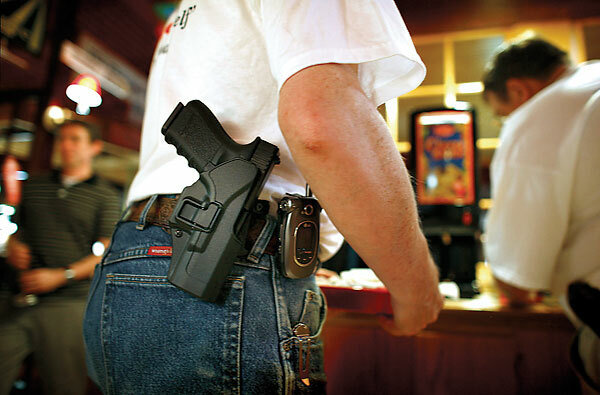 Axe Open Carry – The Wave Of The Future In California? If you think you have the balls to pull off such a fashion/personal protection statement, hit up the links below to purchase it. As always, if you live in California, make sure to let the politicians know how you feel about the impending ban, before it’s too late.